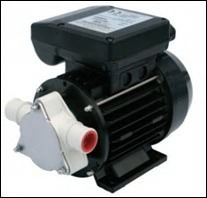 Seawater pump, flexible impeller progressive cavity, for water with few impurities. Suitable for washdown, bilge, etc. Also suitable for filtered river water. Pumped liquid : Water, seawater or river water with few impurities.